Every blogger wants to take things to the next level. To do this, you have to be committed and ready to put the effort in present yourself and your blog in the best way. I’m going to be completely transparent with you - it’s not easy. It does take time and effort but in the end when those blog sponsorships deals are coming in, you will think it’s worth it. You don’t have to be a graphic designer to make your media pack look awesome. Sometimes less is more, so work with what you've got. The most important aspect of your media pack is the contents. 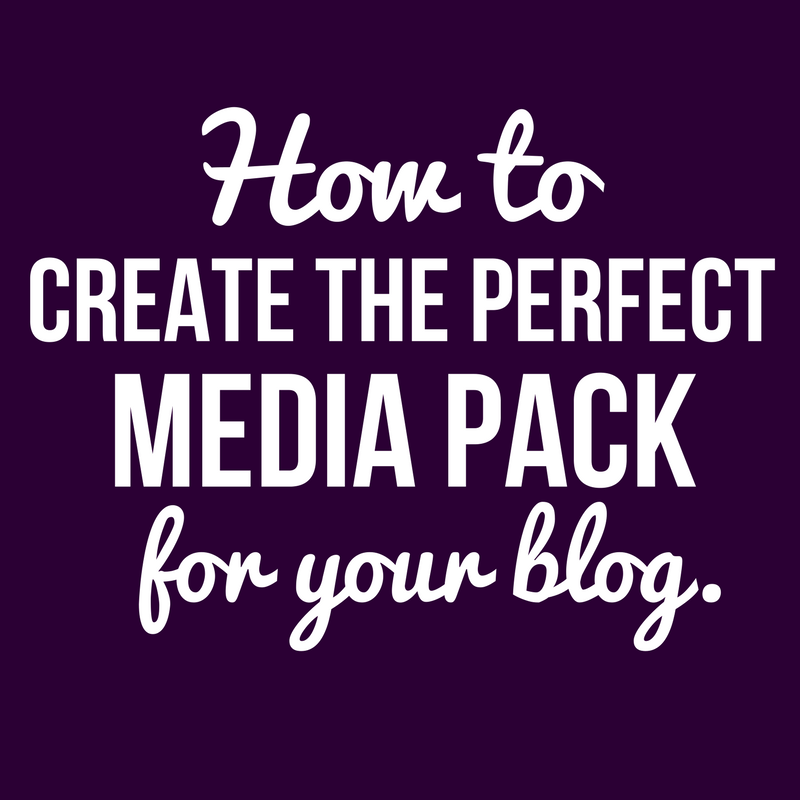 So I wanted to share my top tips on how you can create the perfect media pack for your blog. First things first, what is a media kit? Well, a media kit or a press kit is a document that you create which showcases all of your social stats and details which you want to use to entice brands to work with you. It’s not just your blog analytics; it’s much, much more! You share the best bits about your blog as well as all the great things about you. Personality is key! What goes into a media/press kit? Describe your blog – What’s the theme of your blog? Features list – what categories do you write about? Beauty, fashion, health & well being etc. Rates and payment policies – what are you charging and how do you want them to pay you. What you offer in return for their sponsorship – is it product reviews or social promotion etc. If it’s just advertising where will these ads go? Now it's time to promote brand you. Interested in starting a YouTube channel? Check out my latest video here. Thank you! I appreciate you taking the time to read it. Have a great day.